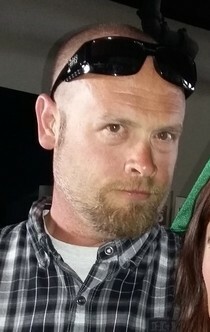 Jason Lee Murphy, 41, Kokomo, passed away Friday, August 3, 2018, in Frankfort. He was born March 27, 1977, in Kokomo, the son of William L. Murphy & Thelma C. (Eads) Jarrett. On May 15, 1998, he married Mandy Wilson and she survives. Jason worked for CBT- Brock Grain Drying Systems in Frankfort, as a lead assembler for the past 7 years. Prior to that, he worked for the Kokomo Pottery. Jason liked riding his motorcycle and shooting guns, but he especially enjoyed time spent with his family. Along with his wife Mandy, Jason is survived by his children, Aubrey, and James; mother, Thelma (James) Jarrett; brother, Shane Murphy; and two step-brothers. Jason was preceded in death by his father, William L. Murphy Jr.; grandmothers, Margaret Murry, and Wanita New; and uncles, T.J. Longfellow, and Archie Murphy. Funeral services will be held at 6:00 pm Friday, August 10, 2018, at Shirley & Stout Funeral Home & Crematory, 1315 West Lincoln Road, Kokomo. Cremation will follow service. Friends are invited to visit with the family from 4-6 pm Friday at the funeral home. Memorial contributions may be made to Shirley & Stout Funeral Home to assist the family with final expenses. Messages of condolence may be left online at www.shirleyandstout.com.